So they started off with Tim Cook taking the stage and talking about two new Chinese Apple Stores and the new one over in Hong Kong too. They like to big up the numbers first. He ran a video and got his first proper round of applause. Then the new CEO went on to discuss their products. Starting with the desktop OS (OSX Lion) and comparing it to Windows 7. Lion has been downloaded 6 million times. It took Windows 7 20 weeks to reach the same point that Lion reached in 2 weeks. Mac: The MacBook Air – the best macbook ever. Mac has outgrown the PC market by almost six times and Mac has outgrown the PC every quarter for the last 5 years. 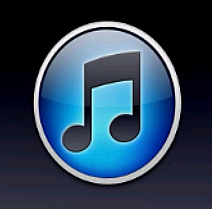 iTunes and iPods: In 10 years the iPod has become the number one music player in the world. More than 70% of the US market belongs to the iPod and they’ve sold over 300 million iPods worldwide. Sony sold 230,000 walkman cassette players in 30 years. iTunes launched 8 years ago with 200,000 tracks available, and now it holds 20 million. It’s the number one music store in the world. iPhone: The iPhone 4 accounts for 50% of the iPhones ever sold. The number 1 smartphone in the world. 93% of the Fortune 500 companies are deploying the iPhone in their businesses. The iPhone has 5% of the mobile phone market worldwide – not smartphones – but mobile phones. That is one hell of a lot of phones. iPad: The iPad has a 95% customer satisfaction rating. They’re everywhere. Schools, Pilots and Medicine. 3 out of 4 tablets sold in the US are iPads. As AllThingsD said “People want iPads, not Tablets”, And this morning, the passed 250 million iOS devices sold. iOS: iOS accounts for 43% of the mobile OS installed base. There are over 500,000 apps in the Apps Store and just over 140,000 of these are specifically designed for the iPad. There have been over 18billion apps downloaded – over a billion a month. There’s also now a “cards” app, in which you send your photo and it’s then delivered via the postal service. iOS5: There’s over 200 new features as we already know. They include notifications and iMessage (like BlackBerry Messenger) which will run on all the iOS devices. There will also be Twitter integration (not Facebook) and …. NewsStand: NewsStand will download new publications in the background so they’re ready and waiting for you when you want to read them. Camera: My favourite feature – The volume buttons as a trigger for the camera, but there’s also autofocus and autoexposure along with grid line to align your shot. Game Center: which is the place where iOS gamers get together. There’s 67 million users on there now. Safari: has had a refresh, and includes the reader feature which exists on the desktop version already. It’ll run on the iPhone 4, 3GS, iPad 1 & 2, iPod touch (3rd & 4th Gen) and will arrive on October the 12th… bit annoying because I wanted it before I jet off – but so be it. “iCloud” obviously is the next big thing to be discussed. iCloud is all about syncronising your iOS devices. iTunes will be in the cloud, Photo Stream, puts your photos in the cloud. You can store your Pages & Numbers documents up there and your iOS device will be automatically backed up every day. It will finally be available to all on October the 12th. “Family and Friends” is a new app to help keep track of your family and friends. There are location sharing blocks of time and simple privacy controls to enable switching the service on and off. Of course your family and friends will need to be carrying an iOS device. “iTunes Match” will scan your library and match it to the tracks that exist in iTunes to save you uploading them onto iCloud. Not sure what happens if you haven’t bought your tracks (ie: They’re pirated) but I’m sure that’ll become clear. To sign up for it, you pay $25 per year but not until the end of October. And the rub here?? It’s only available in the US due to copyright law. Pah! And so… onto the iPhone…. The iPhone 4S!!! (I hate to say I told you so). It’s the same externally as an iPhone 4, but internally there’s lots of changes. The A5 chip (Apple designed Dual Core ARM chip), 7x faster graphics (dual core graphics processor), Increased battery life, Improved antennas for call quality and download speeds up to almost 14.4Mbps and it’s a Worldphone!… The camera has been upgraded to an 8 megapixel sensor. If you’re really into your camera gear – you’d be interested to know it has the following: “CMOS backside illuminated sensor — gets 73% more light than the iPhone 4 sensor, and 1/3rd faster. On top of that, we place a high-end IR filter for greater accuracy and uniformity.” – They’re complex gizmos and they’re very highly rated. HD 1080p video recording with real-time stabilisation and noise reduction. And finally….. Voice. This is really the new innovation. Now you can talk to your device. It’s marketed as an “Intelligent Assistant” known as Siri. So you say, “What’s the weather like today?” and it simply tells you….. now, I’m happy to look up at the sky, but I get where this is going. “What time is it in Paris?” for example is far more useful. You can set your alarm by saying “Wake me up tomorrow at 6am” These are the sort of clever tricks your iPhone 4S will doing for you. Wikipedia and Wolfram Alpha searches by voice. Basically – you ask it and it speaks back the response. Good stuff if it works as well as the demos. Other wise, http://www.DamnYouAutoCorrect.com was the tip of the iceberg. Works in English, French and German. And so a worldwide launch on October the 14th… with pre-orders from the 7th October in the US, Canada, Australia, UK, France, Germany and Japan. Oh, and the price ? The iPhone 4 will drop to $99 and the remaining 3GS’ will be free on contract. That’s it. What do you think? So in a departure from what has become the norm, today saw me making a trip up to the local office for a meeting with the bad man and a newly assigned PM who will be taking things forward from here for us. Wednesday’s have become the day for our weekly get togethers up there, but this week it’s a Tuesday. Nothing especially different about it, other than the rest of the account team weren’t there. As things have turned out, the day went well mostly – apart from having to pick up something new that wasn’t on the original list of new things to be picking up. In the end, mid afternoon saw us finishing off at a sensible time. The Channel Islands are just off the coast of Poland. I reckon the best iOS5 function that’s coming (aside from the voice assitant and the enhanced notifications system) is moving the camera shutter button onto the physical volume buttons on the side of the phone. That will actually make picture taking far more natural and one hell of a lot easier to do. Next week I’m jetting off on the annual (or in my case bi-annual) golf trip to Spain. Normally I have to lug my proper camera around with me of an evening to capture the lads in various states of stupidity. Fingers crossed that the new OS lands in time so that this year I’ll only be lugging my phone. I’m also going to get my “posting to Google+ via email” sorted out so that I can instantly share thier embaressing moments amongst the correct circles (although posting to a specific circle via email is something I have yet to figure out). Something you may not be aware of that will help me along the path of automating such tasks it a website called http://ifttt.com (If This Then That). It’s a place were you can join sites (referred to as channels) together in the form of “tasks”. So for example if you use instagram to take pictures and have a dropbox account (for online storage), you could create a recipe that each time you take a picture with instagram, then copies that picture onto your dropbox storage. Well then – 6pm is almost upon us and so I’m shooting off to keep track of the Apple announcement. Hopefully I can get iOS5 before my travels. *Some items proclaimed as fact may NOT actually be facts. True Story. Onwards to my favourite subject, but one I’ve been a little neglectful of lately. All things technological. In particular, two subjects, that of the Social network and of Apple. I’m sure you’d agree that’s some pretty rapid growth. But that’s nothing. Take a look at Twitter’s growth numbers. So Facebook went from zero to 800 million users (by far the most of any Social Network) in 7 years. You could average it at 114m users a year if you like. However, Twitter went from zero to 200 million in 5 years, which again you could average to 40m a year. So that’s still very rapid growth, but not as fast as Facebook. So what about Google plus? G+ went from zero to 10million users in 16 days….. and we can see from the trends of the other networks that growth starts off slow…. If that’s slow! then these are crazy numbers.. averaging out at 228m a year!!! Holy crud. Of course – these are just statistics and as we know 87.4% of statistics are made up on the spot. G+’s biggest problem is that to move people from Facebook onto G+, the Facebook crowd won’t budge until their friends are there, or until Facebook changes something major that they don’t like. And guess what? One snippet of tech news that’s not just a statistic is that Facebook is changing. Their recent F8 conference announced a whole raft of changes which clearly show they feel threatened by the release of Google+ and that they’re running to catch up quick. One of the more interesting is the timeline, which I actually think looks very nice – but it’s pretty creepy when stuff like this happens to what you thought was personal – and then suddenly isn’t. And of course, Facebook users – who are traditionally a fairly conservative bunch – won’t like the change. At least for about three weeks and then they’ll just resort to their usual level of bland chitter-chatter. Now, from socialising, onto the fruit stuff… Apple…..
Steve Jobs probably won’t be there, because Tim Cook will be, now that Steve has officially retired. It would be great for him to appear to handover to Tim, but he’s probably too unwell, which is a great shame. He’s clearly been one of the most innovative CEO’s in the tech industry over the last 10 years and turned Apple around when they needed it most. He will be greatly missed by the tech world as a whole. As for the announcement, the expectation is the iPhone 5 will land – and I have to say after all I’ve seen and read – I don’t think it will. I think the iPhone 5 (which might have a curved back a bit like the iPhone 3 – or it might not) isn’t going to show up until next year at the earliest. Now – lots of people have tried to analyse this image – and have drawn the conclusion that – it’s clearly an iPhone event (and not an iPod event), It’s on Tuesday the 4th at 10am in Cupertino, CA and it’s about voice recognition on the iPhone. That seems to fir with all the other rumors pretty nicely. Really good speech recognition. Probably not on the iPhone 3Gs or earlier. The iPod classic will no longer be available. There really might be an Apple HDTV – but it’s really dodgy ground. I’d love to think this was true, but who knows. We’ll just have to wait until tomorrow…. The far more interesting part of the announcement will be the arrival of iOS 5.
iOS 5 has loads of great new features – and as I’ve said elsewhere, since Amazon have announce the Kindle Fire – hardware isn’t where the fight is anymore. It’s moved on to content. Once more, content is king again. But one last minute feature that I hadn’t heard about until this week is iOS5’s new locking features – including shapes. Drag your finger in a shape to unlock the screen. Android does this already – so it’s a welcome addition. So – 10am PST is 6pm UK time. The only absolute certainly is the tech press will still be talking about it and wondering what Apple will do next. I only have two things to say on the subject of current work at Starfleet…. Tomorrow (Monday) is WWDC day!! WooHoo! Rumour has it, we’re going to hear about iOS5, OSX Lion, iCloud and all sorts of other fun stuff. This is the stuff that currently lives on my home screen and gets all the usage. That space is some very valuable real-estate..
News stories by geographical region. News by category including business, technology, entertainment and sport. News in other languages including Spanish, Russian and Arabic Video including one minute news summaries to keep you informed on the go. TomTom’s patented mapping and routing intelligence is at the core of the TomTom App. TomTom is known the world over for the accuracy and extensive coverage of its maps. TomTom maps have been rated highest in terms of quality and reliability. No mobile signal or data plan is required to browse your map and navigate to your destination. And, only TomTom offers IQ Routes, which evaluates routes based on actual traffic speeds rather than posted speed limits, and recommends the fastest route based on the time of the day. Wikipanion (although to be fair, I pretty much just Google for wiki entries now). Accessing Wikipedia has never been faster and easier than with Wikipanion, designed for easy, search, navigation and display of Wikipedia entries. Streamline your browsing with history grouped by visit date, and bookmarking that not only bookmarks individual entries, but individual sections within an entry. Tweetbot is a full-featured iPhone (and iPod touch) Twitter client with a lot of personality. Whether it’s the meticulously-crafted interface, sounds & animation, or features like multiple timelines & smart gestures, there’s a lot to love about Tweetbot. 3.75 Million users love Instagram! It’s a free, fun, and simple way to make and share gorgeous photos on your iPhone. Pick from one of several gorgeous filtered effects or tilt-shift blur to breathe a new life into your mobile photos. Transform everyday moments into works of art you’ll want to share with friends and family. Share your photos in a simple photo stream with friends to see – and follow your friends’ photos with the click of a single button. Every day you open up Instagram, you’ll see new photos from your closest friends, and creative people from around the world. The Best of the Rest…..
and finally for MobileMe users – who are about to join the iCloud (allegedly)…. It’s trying to snow… I do find it quite amazing that the entire country seems to be grinding to halt and yet I look out the window at a grey and green back garden with only the remnants of snow from the weekend. And that’s only there because it’s been so darn cold. Starting to feel a little left out. That said, it really is trying to snow now. There are a few “flakes”, whisps, fluff, feathers… of snow whatever you wish to call them, but they’re barely enough to mention. I imagine we’re being lulled into a false sense of security and any minute now the snow gods will unceremoniously dump a blanket of the stuff upon us like a duvet on a sofa – briefly welcome but ultimately out of place. More of a concern is the impact it’s having on our Christmas shopping. I’ve got a couple of items “in the post” but who knows when they might arrive? Not the post office that’s for sure. Ho Hum. For those of us from the 80’s it’s great to see some of the more rediculaous 80’s toys back again. I never had one of these the first time round, but I’m quite tempted to put it on my list for Santa now that’s it’s back. What the snow won’t stop, is any chance of a bit of socialising. Today being Thursday, means I’m due a trip to the WTC and a long overdue catchup with some of the lads. I’m quite sure that even if their houses were literally buried in the white stuff, they’d still find a route to the pub – which is after all is said and done – the correct place to put the world to rights. Talking of righting things… (and writing things) a bit of an update on the AirPrint situation. I mentioned yesterday how it was great to see the iOS 4.2 update, but only AirPrint support for a handful of HP printers was disappointing to say the least. I also mentioned that there are some rumoured workarounds. This is the 21st century and there are people out there that want us to have all the toys we’re promised (even jetpacks I bet) and so it’s great to find these minor hacks, get all printers up and running for your iPhone, iPod or iPad. Today i have much reading to do and as hard as I’ve tried to avoid picking up new stuff, because I mentioned it, I seem to have two new “5-minute little” jobs. No doubt they’re more likely to be “3-week monsters” and I’ve been blagged yet again. “Enough whinging and moaning. Time to get off me harris and do something about it! !” , is what I said last week to myself during a particularly strong bout of taking myself to one side and having a serious word in my shell-like. There was some whirring and clicking and things sort of fell into place which led me to finding this path that I now find myself upon and I’m trudging forward along it to see where it takes me. As employees within Starfleet we are very lucky to be able to move around to differing roles within the business without too much risk to your career in the longer term. Of course it’s never quite as straight forward as that, but in theory it’s pretty simple. The long and the short of this means that sometime in the next 3 months I will probably be doing something different. But I won’t hold my breath just yet. Scobi’s looking for some guidance for his Home Theatre setup and managing his media, so I figured I’d share a short write up on the way I’ve been doing it for the past few years. Any questions, drop me a note or post a comment. Back in the day when I was a believer of Microsoft, before I moved to the Mac world, the answer for me was Microsoft XP Media Center Edition (MCE). I had a smallish tower PC with a TV card in it that would capture my analogue signal. The MCE front end with associated remote was a nice way to watch, pause and rewind live TV as well as being able to watch DVD’s (via the DVD ROM), my own videos from the HDD, listen to MP3 music, and view photos. This after all is what you want your media center to do. However, back then, the support was patchy, drivers and codecs were a headache and believe me there is nothing quite like a “General Protection Fault” or the “Blue Screen Of Death” during the recording of Coronation Street if you really want to feel the wrath of a woman scorned. On top of this, although it was possible to get it running with Sky, satellite TV could only be view via the analogue port due to tuner constraints meaning is was out of step with HD TV by the time that arrived on our shores. It was these problems that led me away from the Microsoft solution and into the world of Apple TV. A shame, because there were two killer features, that I haven’t been able to replace as yet which I’ll come to in a moment. Sky+HD for the main TV in the living room. This takes care of the Corrie recording issue and allows for some decent HD content. There’s also a PS3 to provide Blue Ray content. The media Library sits across 2 Terabyte hard drives (1 Internal and 1 external) on the back of an iMac running iTunes – tucked away in the office. This is the core of the network and stores all of the data. Media that arrives at home get’s converted (the geeky phrase is “ripped”) to a suitable digital format and imported into an iTunes library. This is then available to Apple TV which sits silently and unobtrusively in the living room connected to the WiFi Network. All of this is rigged to a wall mounted HD LCD and Dolby 5.1 Surround system which the Apple TV supports nicely. Other rooms in the house have TV’s with iPod/iPhone connectors or the iPod/iPhone Composite AV Cable attached to them. This means that it’s possible to stream movies or music from the iMac to a remote iPod/iPhone (should point out we’re talking about “iPod touch” in this context, which has WiFi connectivity) and use a TV or other docking station for output. Furthermore if you want to move from room to room, well that just works because you’re on the WiFi Network and you can even sit outside with it if the mood takes you and the turbulent weather has subsided. The key to it all, is having the library central and available on the Network – it’s that simple. Now, I can hear you saying the HD support is a bit of a bind, but not a problem. Skype & Social Media in the living room!!?@!? What are you on Golfy? Well, I’m not just running a Home theatre here, this is cutting edge stuff. In the Old MCE world, I have a small camera mounted above the TV and Video Sky calls could be neatly integrated because the whole thing was running on XP. I also had a wireless keyboard and could use MS Messenger for chat while watching the TV. In the future we’ll have something to fix that, be it Google TV, or Apple TV with Apps on it (which I think is highly likely), or something else altogether. But the key piece of technology there is the Internet, and so Internet connectivity to your TV in your living room (at least!) is a must have for future-proofing (or at least attempting to). There are TV’s out today with some Internet connectivity already, but this is the new frontier for living room dominance and not (I repeat NOT) 3D-TV. But that’s another story. Any other stuff to get off my chest? X-Factor! Seriously, What the feck is going on there ?? I’m done with it now that it’s been clearly shown up as an advertising campaign thinly disguised as a telent show. Just in case you were wondering where my logic comes from. It’s really down to last nights show that selects the final 12. The first seven minutes of this contained nothing but the previous days show. And when I say nothing I mean nothing save one very short voice over to say this would be when we find out who the final 12 are. Other than that it was Saturday nights show in 7 minutes. And this is what really galls me – they then went into an ad break!!! 7 minutes of old TV and an ad break! I’m sorry but you lost me right there. Dear HMRC, Please send me an iPad and not a Windows phone. Ta. If it turns out that I’m one of the lucky 100,000 lottery winners Tax payers, to get a rebate in Gloucestershire, and if it’s £400, Can you guess what I’ll be doing with it in Cabot Circus ? Microsoft don’t do iPads. They’ve fumbled about with Tablet PC’s and touch desktops, but they’re not going in quite the right direction yet. I’m sure you recall that Microsoft are the largest IT corporation on the planet with the hugest amount of financial resource available to them to dabble in whatever technology takes their fancy. Well, them and Google at any rate. After Apple’s phenomenal success with the iPod they went after it with the Zune and what a disaster thatwas. To be fair it does have some following in the US, but considering it’s not actually available anywhere else, it looks like they’ve missed the boat. They haven’t given up all hope yet, but it must be soon. Anyway, not be downtrodden, they’ve also gone after Apple’s next little baby, the re-imagined smart phone. The iPhone has done massive amounts of business globally and can only be described as a roaring success. Google are hot on their heels though with the Android powered phones. Google may not be up to the Hardware challenges, but they certainly can do software and after the recent Antenna-gate charges it’s possible that Apple can’t do hardware either (although, like most people I think this is more of a blip on their part than anything else). Do they really think they’re going to get all that ground back again ? iOS is reportedly the 3rd most used Operating System online even beating Linux. Now that really is a big shout. Linux is almost as old as the Internet itself, but has continually grown and shaped and moulded to fit it’s users needs. iOS is barely out of nappies by comparison, and yet is overtaking it’s elder cousin already. Thanks to NetMarketShare for this data. Yesterday I mentioned check.in, the HTML 5 based app for checking in to multiple locations. Well, today I’m going to point you at Seesmic.com which does a similar sort of trick for the SocNet (Social Networks; It’ll never catch on – Ed). If you’re familiar with Teetdeck, then you’ll know what to expect. Essentially, you give it the login details of each of your accounts (Twitter, Facebook, Foursquare, Buzz etc) and it then presents you with a column view in a similar fashion to Tweetdeck. There’s even an app for it naturally: http://seesmic.com/seesmic_mobile/ although I hav to say, the mobile version isn’t quite as slick as the full web browser version IMOH. Still, What do I care… I won’t be needing any of that when my cheque drops through the letterbox. You can see me sat patiently waiting by the door even now. What’s that? No, no. I’m sure you’re mistaken, I can’t have underpaid surely? Nobody said it works both ways!! Arrrrrrhhgghgh. 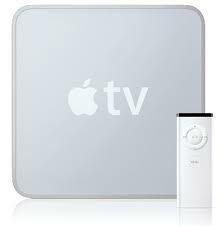 Finally the news is out there and good old Mr Jobs has announced the successor to Apple TV in the form of iTV. Apple held one of their now legendary press conferences in the YBCA Theatre, San Francisco, California at 6pm UK (10am local) time with a whole bunch of new product announcements and for the first time the video of it was streamed live across the internet to apple devices. I experienced crystal clear video and no lag, most definitely NOT like watching YouTube. All very apt given the content of the presentation. In particular and of great interest to me is the future of Apple TV. I’ve been an Apple TV user for around 3 and half years now and I love it. It streams media from my iTunes library wirelessly into my living room onto my HD TV. I get full 5.1 surround audio and an HD picture (assuming that the source contains both or either of these). It’s a great way to share photos with the family, watch Movies, listen to music and even stream the odd YouTube video. It’s like an iPod for your TV. Awesome. Some new retail stores in Paris, China (Shang-Hai) and London (Covent Garden) all looking beautiful as usual. They now have 300 stores across 10 countries with around 1million visitors per day. 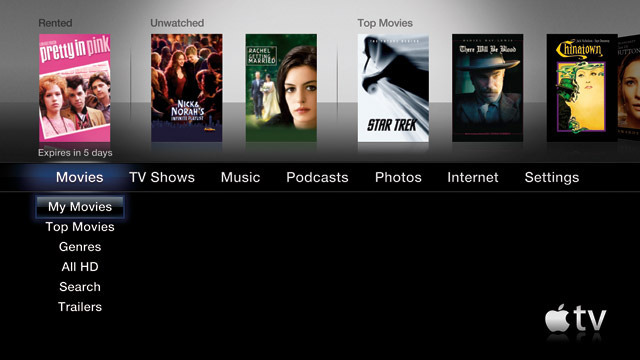 Users love apple TV (I do, that’s a fact!). They want professional movies & TV shows, everything in HD, low prices, not a computer, not having to manage storage, not syncing (too complex), silent, cool and small. That’s the requirement. 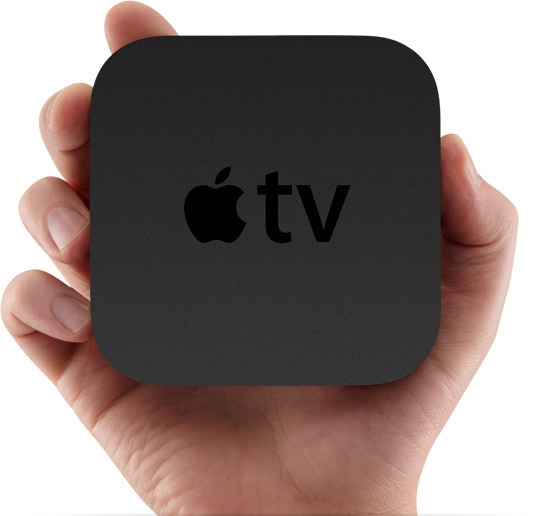 Apple TV 2.0 is a quarter of the size. Palm sized black box. 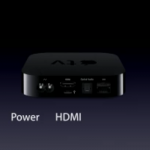 Power, HDMI, Optical Audio, Ethernet and 802.11n WiFi. Airplay – allows you to send video or music from your iOS device straight to apple TV with a single click. $99 available in 4 weeks time. So now we have something new to look forward to and at a fab price. A mere $99 (£65). Of course we all know of old that what this actually means is when it’s available in the UK (3 months after the US) it will actually cost us £99 or $152 (almost double) thanks to the ridiculous import duty and taxes that we pay in the UK. The problem for me though, is that as an avid user of Apple TV already, I won’t be able to resist and I’m likely to be quite near the front of the queue come release day. It also includes Netflix. You may not be aware of it if you’re a european reader, but Netflix is an online streaming service for movie rental. Today, it’s only available in the US and Canada, but I have made noises at them in the past about a UK/EU service with fairly positive results. I’m not on the alpha program yet, but I am on the list. Watch this space.